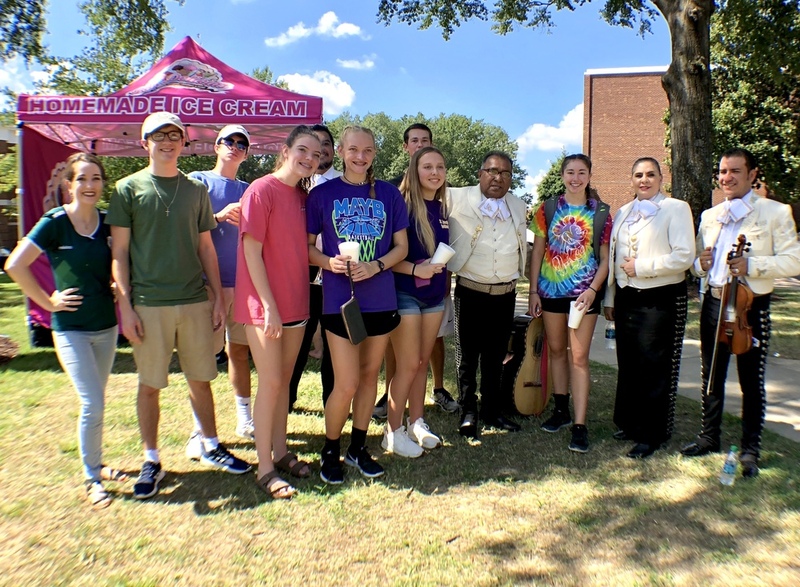 Several students in Ms. Christen Reyes' (far left) Spanish classes attended UCA's Amigo Fest September 15. It was part of the University's celebration of Hispanic Heritage Month. The event included food vendors, outdoor games, a health fair, and live music and entertainment. The St. Joseph contingent seen here is with some members of the Mariachi Band that performed.